Reve Machinery Sdn Bhd is Hiring!! 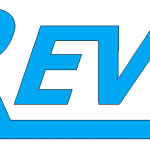 Reve Machinery Sdn Bhd, professionally known as “Reve” is among the leading manufacturers and suppliers of food packaging machines and spare part and services based in Malaysia. The company was established with the aim of offering quality products to our clients and our philosophy is “All your Packaging Machine Needs”. We provide consultancy on cost-effective solutions towards customers output to boost up their productivity. With experience in the packaging machine industry, we have the ability to enhance customer needs accordingly including to create new customized machines to fit their production. Our main office is located in Kawasan Perindustrian Bukit Minyak, Simpang Ampat, Pulau Pinang, Malaysia. Candidate must possess at least a Secondary School/SPM/”O” Level, Diploma, Graduate Diploma, Others or equivalent. This position are also available for Full Time & Intern Student. Minimum 1 or 2 years of working experience in Mechanical Engineering lines. Applicant must be willing to work in Kawasan Perindustrian Bukit Minyak, Simpang Ampat, Pulau Pinang. Able to take challenge, responsibilities towards job assign with minimum supervision. Next article3,151 Jobs in Penang! !